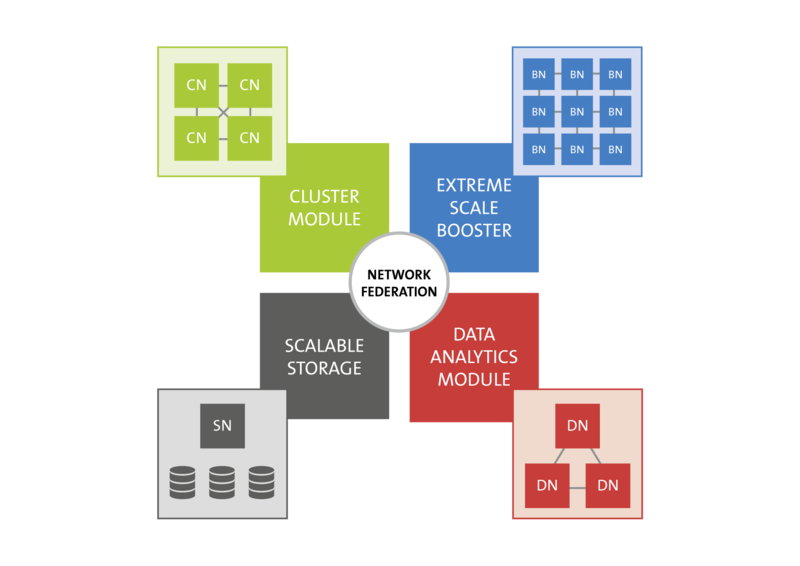 In addition to the three above mentioned compute modules, a service module will provide the prototype with the required scalable storage. One important aspect to be considered in the design and construction of the DEEP-EST prototype is energy efficiency. It will influence the choice of the specific components and how they are integrated and cooled. An advanced monitoring infrastructure will be included to precisely quantify the power consumption of the most important components of the machine, and modelling tools will be applied to predict the consumption of a large scale system built under the same principles. 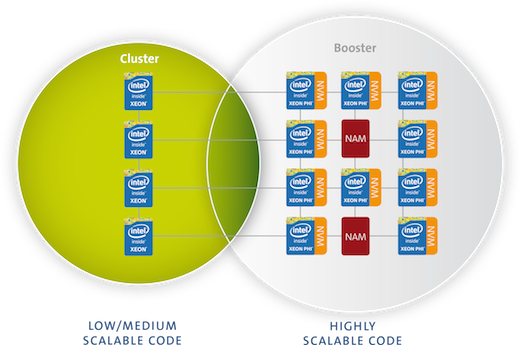 Standard Cluster: general purpose multi-core processors (Intel® Xeon®) with high single-thread performance. performance on vectorizable codes and high scalability and energy efficiency.